This 1933 Roadster is a true work of art. 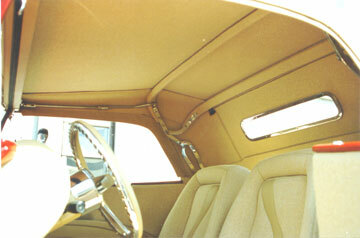 Plush carpeting & high grade leather is used in all of Clint's Custom Street Rods. 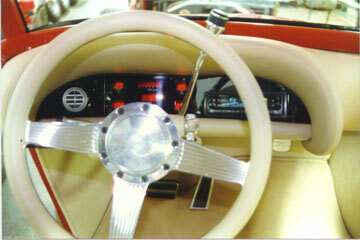 The unique custom design flows throughout the vehicle. 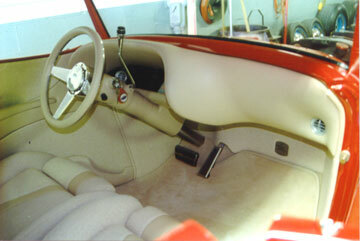 One look at the door panels and seats reveal the artistic design. 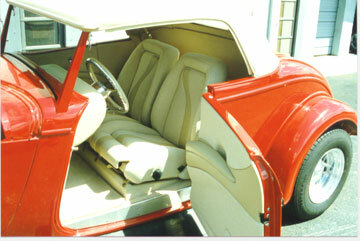 The convertible interior is made of the same durable material as the door panels. A perfect match that will last decades. 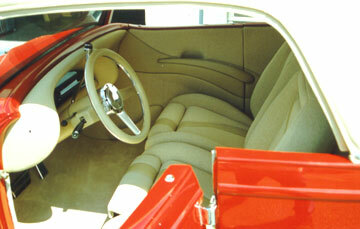 The modern digital instruments blend with the vehicles 1930s style. 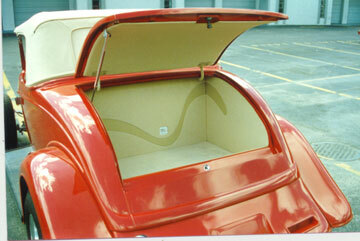 As with all of Clint's Custom vehicles, the design is continued in the trunk.